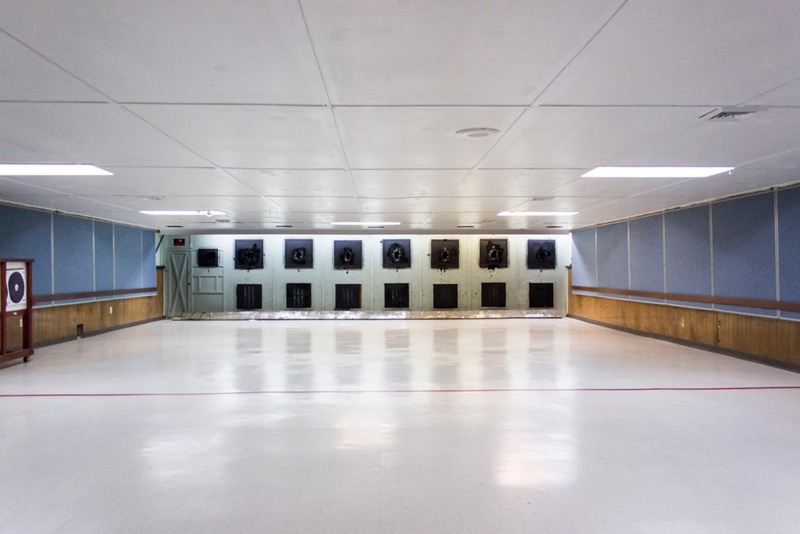 The Indoor Range provides 8 shooting ports at 50 feet. Handguns (wih qualificaion), Archery, Air Guns, and .22 caliber rimfire rifles are allowed on the Indoor Range. No jacketed or magnum ammunition is allowed. Also, no cap and flintlock weapons are allowed. The Indoor Range is available for archery year round when no other pistol/rifle matches or practices are scheduled. Field points only, no broadheads allowed. There are 2 eight foot foam plank targets and a cube target that can be moved into the range for archery use. Target faces are stored on the side of the large plank targets.